I started listening to this album again at the beginning of writing Good As You and it went the distance. There's a film called The Alcohol Years made by Carol Morley which, for me catches every contrary flavour of coming of age in Manchester in the 1980s. Carol put an advert in City Life, coincidentally the first magazine I worked for, asking people who remembered her from the time to get in touch. She filmed the results. It's a maniacally self-obsessed work but funny and poignant, too, because she was obviously an absolute nightmare, a total head-case running drunk and pretentious from one nightclub to another, sleeping with anyone who crossed her path along the way. At one point in the film Carol runs away to Paris to get married to Pete Shelley, the Buzzcocks' singer. 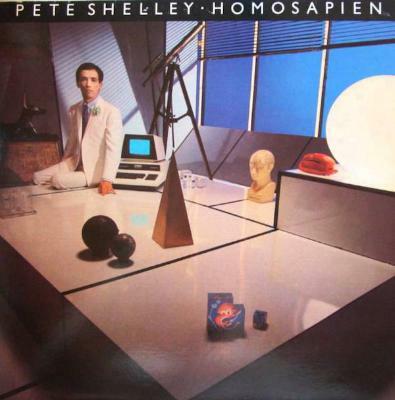 I remember thinking, what woman would marry a man who sang a line as unequivocal as 'Homo superior, in my interior' as he did on Homosapiens' amazing title track. I really admired her for it. That song's still very much the Martha to Frankie Goes to Hollywood's Arthur, Relax. Welcome to the Pleasuredome was another one that got repeat play during writing the book. I love that both albums have songs banned by the BBC, valiant gay behaviour. Pete's like a little flick-knife, so his new wave incarnation was gnarly and sharp. One of my earliest, proper musical memories is watching Pete sing 'What Do I Get?' on a Granada TV show presented by Tony Wilson and loving watching his face as much as the members of Boney M or the cast of Grease on Top Of The Pops. I must've been six or seven years old. Pleasing little memories like that kept returning while writing the book.